Delighted to be supporting London Tech Week in June. 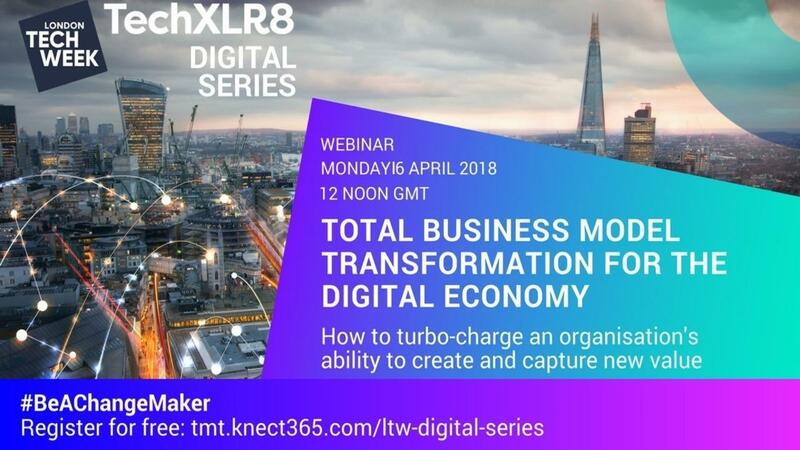 As a warm up, the organisers have asked me to deliver a webinar on 'Total Business Model Transformation for the digital economy', which will be broadcast at 12pm GMT on 16th April and available on demand afterwards. You can register for free here. - Which types of business model outperform others 10x, and why? How does your organisation compare? - How to create platform-powered ecosystems that drive new growth and value? - Which corporates have most successfully transformed their business models, and how? - How to re-allocate capital and resources to more powerful digital business models that impact your valuation?